HANDY trotter Rising MVP pulled the pocket near the three-quarters, powered past the leader and coasted to a comfortable victory in yesterday’s feature $13,000 Conditioned Trot at The Meadows. Rising MVP was stalking Banker Volo when Aaron Merriman cut him loose. 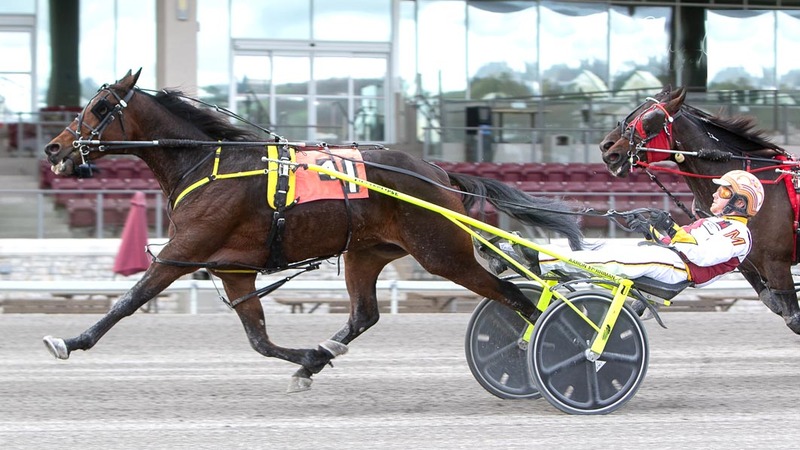 The three-year-old gelding had little trouble negotiating the “good” surface, scoring by a length-and-a-half from Media Buzz, with Explosive Leggs a similar margin away third in 1:55.1. Bill Daugherty junior trains Rising MVP, which boasts $181,762 in earnings for owner Susan Daugherty. Tony Hall, Dan Rawlings, Wilbur Yoder, trainer Rich Gillock, owner Bob Key and Merriman each enjoyed a double on the 13-race card.